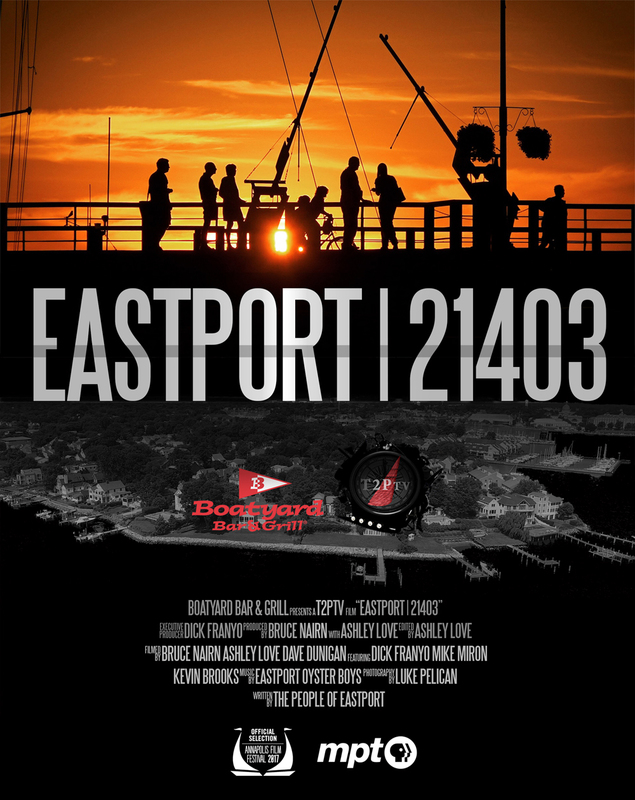 The MRE documentary Eastport 21403 had its debut at the Annapolis Film Festival, followed by an exclusive, red carpet screening at the Boatyard, then aired on Maryland Public Television. Now it is available for your viewing pleasure in its entirety anytime - meet the characters, feel the energy, reflect on the history revolving around the creation of the Maritime Republic of Eastport! Enjoy the best darn original film in Eastport, produced by the Boatyard Bar & Grill and t2p.tv.